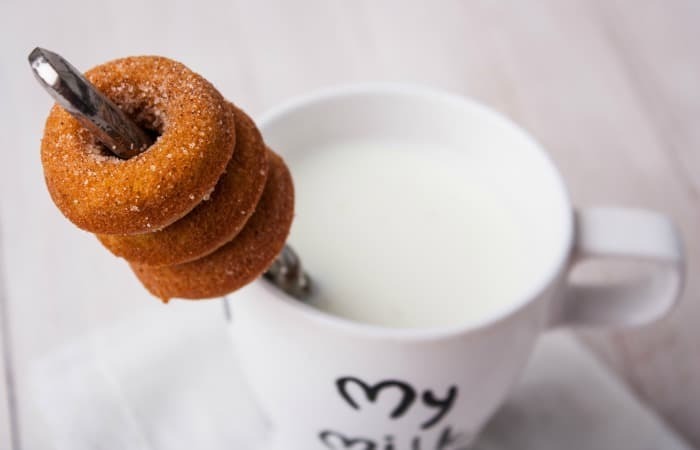 There’s nothing better than a warm donut to greet my waking tastebuds in the morning. A cool cup of coconut milk or a hot cup of coffee and that donut. Makes my day a little brighter. Not that my day really needs to be brighter at like 7am, because–I JUST WOKE UP. Now I need another donut to perk me up…crap. Because there’s something wrong with my brain, I made these cute little mini- Pumpkin Spice Donuts for myself (and everyone else in my house, I guess). And, I guess those other people can have them since, you know, I did make them without all our allergy-hotspots; so no dairy, no eggs. Well, fooey, I’ll have to try harder to come up with something they won’t eat…LOL! Mix wet ingredients thoroughly in a medium-sized bowl. Spray with cooking spray (mine’s coconut oil, so there!) and sprinkle with cinnamon and sugar. Place in a box and pretend you just drove to the donut store…heh. 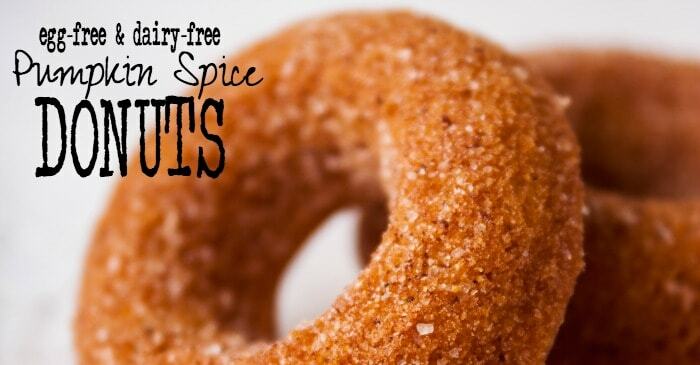 made these cute little mini- Pumpkin Spice Donuts for myself (and everyone else in my house, I guess). And, I guess those other people can have them since, you know, I did make them without all our allergy-hotspots; so no dairy, no eggs.